Abbas Hamada holds a Bachelors in Banking and Finance from University of Bahrain and has several years’ experience working as Accountant for private companies. He has two years’ professional experience working for the Bahrain ‎Foundation for Dialogue as an Executive Secretary. In this position, Abbas acts as liaison between partner organizations, ‎government bodies, and media agencies, as well as ensures smooth project coordination and operations. He is experienced in evaluating, monitoring, and reporting on both financial procedures and ‎programmatic implementation, demonstrating professional competency at grants management, development of ‎adaptive learning mechanisms, results-capturing, and data collection and consolidation. During March and May 2017, he completed the TOT training workshops on dialogue design, dialogue facilitation and non-adversarial advocacy under the Bahrain Common Ground Institute (BCGI), and subsequently supervised cascade trainings for Bahraini civil society members, and coached dialogue initiatives developed and implemented by Bahraini civil society members. 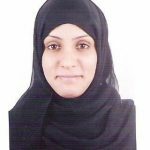 Fatima Abdulmohsin has a Bachelors of Information in Media and Broadcasting Communications from Yarmouk University in Jordan. She is a freelance journalist with 17 years of experience and has worked as a correspondent for many national and international TV and radio stations. She is good at delivering trainings and developing materials, with sound dialogue design and facilitation skills, and concrete experience in report writing. She has membership in several associations such as Bahrain Journalists Association, Correspondents Club in Bahrain, and is the Founder and Manager of Media Forum in Bahrain. During March and May 2017, she completed the TOT training workshops on dialogue design, dialogue facilitation and non-adversarial advocacy under the Bahrain Common Ground Institute (BCGI), and subsequently led cascade trainings for Bahraini civil society members, and coached dialogue initiatives developed and implemented by Bahraini civil society members. Mithaq Rohani has graduated from Gulf Aviation Academy as an Aviation Engineer and holds a Bachelors in Business Management from Anglia Ruskin University in the United Kingdom. He is currently working as Business Development Manager at Tarsheed. He possesses strong analytical, technical, and problem solving skills and is adept at working in various business environments. He has past experience in team planning and youth program coordination and has attended a number of professional training courses. Mithaq has evidenced experience with large group facilitation particularly in the field of youth empowerment. During March and May 2017, he completed the TOT training workshops on dialogue design, dialogue facilitation and non-adversarial advocacy under the Bahrain Common Ground Institute (BCGI), and subsequently led cascade trainings for Bahraini civil society members, and coached dialogue initiatives developed and implemented by Bahraini civil society members. 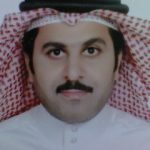 Mohammed Abbad holds a Bachelor in Education from Bahrain University and has worked for the Ministry of Education for 20 years. He has a TOT certificate from the Canadian Academy in Canada in 2010. 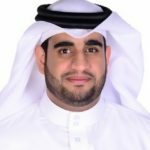 Mohammed has a great passion for social work and is affiliated with many Bahraini civil society organizations, including the Bahrain Society for Child Development, Bahraini Public Relations Society, and Bahraini Red Crescent Society. He is also a member of the Youth Committee for Southern Governorate. During March and May 2017, he completed the TOT training workshops on dialogue design, dialogue facilitation and non-adversarial advocacy under the Bahrain Common Ground Institute (BCGI), and subsequently coached dialogue initiatives developed and implemented by Bahraini civil society members. 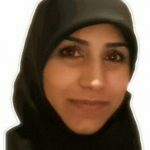 Nuha Ebrahim holds an Associate Diploma in Accounting from the Bahrain University, 1995 and is currently the Member of Board directors at the Bahrain Human Rights Society. She has completed trainings sessions held by the Arabic Network for Tolerance on the principles and mechanisms of tolerance as well as a number of professional development workshops, including on social media engagement by Bahrain Human Rights Center, monitoring and documenting abuses and international protection mechanisms workshop in Egypt, and an advocacy and lobbying workshop facilitated by the Arabic Network for Tolerance. 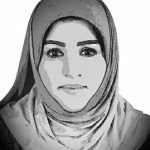 She is affiliated to a number of Bahraini civil society organizations such as Bahrain Human Rights Society and Coalition of Arab Human Rights Court. During March and May 2017, she completed the TOT training workshops on dialogue design, dialogue facilitation and non-adversarial advocacy under the Bahrain Common Ground Institute (BCGI), and subsequently coached dialogue initiatives developed and implemented by Bahraini civil society members. Nuha Karmustaji has a Bachelors of Marketing from the College of Business Administration at University of Bahrain 2005. Nuha is a certified training IBRAMS Center for Training and Conferences since 2016. She is an accredited and certified trainer with the Global Academy for Training & Development (GATD) in the United Kingdom, as well as a practitioner coach at Manchester Academy for Training & Development (MATD) since 2016. 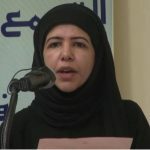 Nuha has experience in keynote speaking and facilitating workshops dealing with a variety of key issues such as peace & reconsilation , women & children, and environment in collaboration with the Ministry of Labour and Social Development, Ministry of Education, Municipalities and Bahrain Institute of Public Administration “BIPA”. 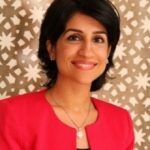 She is an active member in Bahrain Foundation for Dialogue, Baha’i Social Society, Bahrain Society for Training and Human Development, and Social Media Club. During March and May 2017, she completed the TOT training program on dialogue design, dialogue facilitation and non-adversarial advocacy under the Bahrain Common Ground Institute (BCGI), and subsequently led cascade trainings for Bahraini civil society members, and coached dialogue initiatives developed and implemented by Bahraini civil society members. Reem Jaafar has a Bachelors in Sociology-Community Service from the University of Bahrain. She has worked for Tafawuq Consulting Center for Women and Gender since ‎‎2016. Additionally, she has completed numerous professional trainings courses, including on high impact leadership and communication and Networking by the Bahrain Institute of Banking & Finance. She is a member of the Bahrain Society for Training and Development. A skilled communicator and presenter, Reem is bi-lingual in Arabic and English. During March and May 2017, she completed the TOT training workshops on dialogue design, dialogue facilitation and non-adversarial advocacy under the Bahrain Common Ground Institute (BCGI), and subsequently led cascade trainings for Bahraini civil society members. Sayed Mustafa has a Bachelors of Business Administration from Delmon University for Science and Technology. He is working for the Ministry of Health in Bahrain as a Head of the Registration and Licensing Unit. Currently, he is working as an Administrator for Hereditary Blood Disorder Center since 2015. He has more than 20 years of professional experience in human resources, marketing, ‎and accounts and administration. Sayed Mustafa has professional experience in delivering trainings in dialogue and facilitation, with specific concrete experience in conducting training courses on (training of trainers) and other administrative courses such as planning management, needs assessments, performance management appraisals, time management, leadership skills, managerial communication, effective team communication, and report writing and risk evaluation. Wadeea Mansoor holds a Post Graduate Diploma in Education in English Language and is a certified professional trainer by the Arab Board for Consultancy and Training, Cairo University and the International Academy for Training and Consulting. She also holds trainer certificates from Toronto International School of Business and the Union of Arab Economists and Managers in the European Union, as well as certifications from Boston International Training University and Cambridge International College.